We made goofy hats, ate festive scones, and began a shamrock crystals experiment. 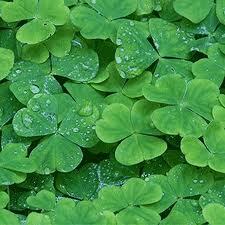 Hope everyone has a wonderful day, wears some green, and finds that illusive clover! You found some cute ways to celebrate! I'm glad you had some fun!